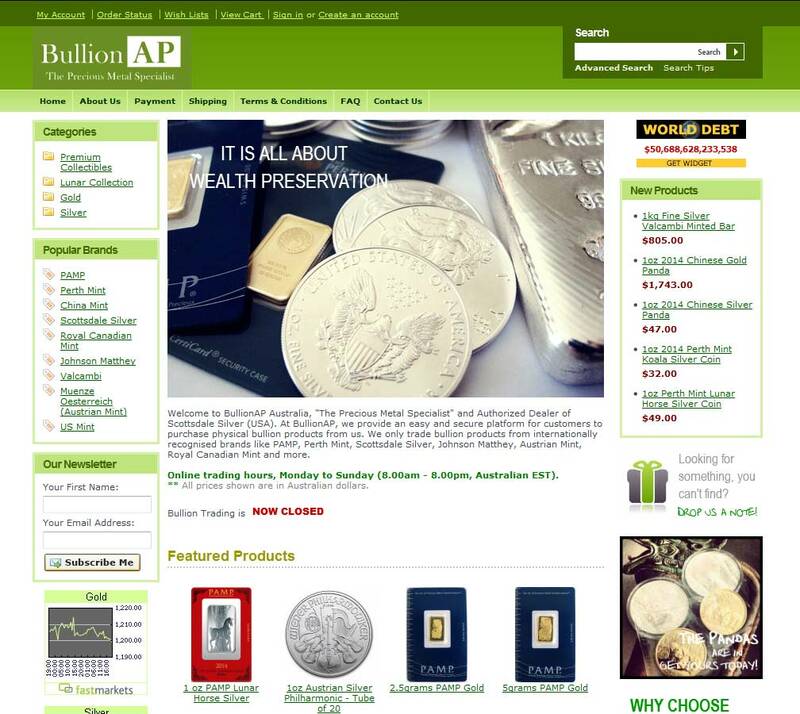 At BullionAP, we provide an easy and secure platform for customers to purchase physical bullion products from us. We only trade bullion products from internationally recognised brands like PAMP, Perth Mint, Scottsdale Silver, Johnson Matthey, Austrian Mint, Royal Canadian Mint and more. BullionAP Trading are a national bullion dealer, trading through a well stocked e-commerce site and selling big-name international and premium brands, some of which are relatively rare in Australia – such as the excellent Scottsdale Silver range of bars. When doing business with Bullion AP - please say you saw them in Bullion.Directory. 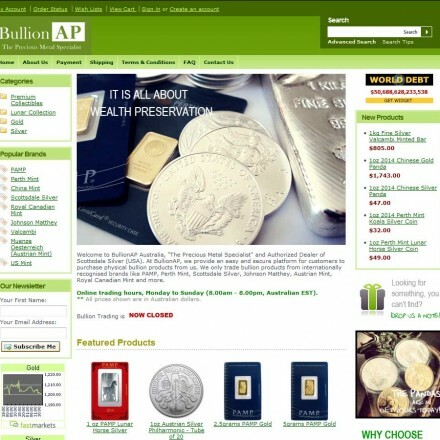 Read or add Bullion AP reviews and ratings using the "reviews" tab above. All Bullion AP details are believed to be correct at the time of listing. Please report errors here.